The final round of Allianz Football League Division 3 fixtures will go ahead on Sunday despite the postponement of last Saturday's round-six game between Louth and Westmeath scheduled for Drogheda. That was one of only two games on an extensive programme to be pushed back because of the adverse weather, with Clare's home Division 2 football match moving to Sunday instead. 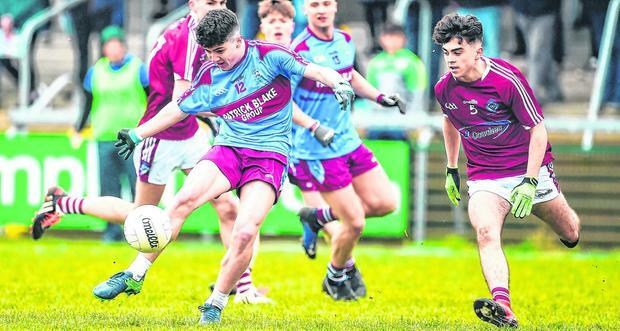 But accommodation could not be made for a quick re-fixture between Louth and Westmeath as the Lake men had a number of gardaí slated for St Patrick's Day parade duties, while Louth had players with work commitments yesterday. The GAA's Central Competition Controls Committee (CCCC) has opted to press ahead with the final round of games as scheduled to see if there is a requirement to play the Louth v Westmeath match. If Longford beat Westmeath and Laois beat Carlow this weekend, then Down - irrespective of their result against Louth - and Laois would be promoted and the outstanding Louth-Westmeath game would not be relevant to a Division 3 final, which could go ahead on March 30-31 as scheduled. But if Westmeath beat Longford, the Division 3 final will have to be deferred until April 6-7 - into the window that the GAA have set aside for exclusive club activity. In that scenario, there could be a knock-on effect on the scheduling of the league finals. Either way, if Galway reach both football and hurling finals, they would feature on the same bill in Croke Park on Sunday afternoon as part of a triple-header, most likely with the Division 2 league final, with the Division 3 and 4 finals in their more conventional Saturday evening slots. Leitrim and Derry have already qualified for the Division 4 final and that is likely to go ahead as planned on Saturday, March 30 in Croke Park. But there is still a strong chance that the Division 1 hurling final will go ahead in Croke Park for the first time since 2011, when Dublin beat Kilkenny, on the same programme as the football league final, with a Division 2 football final switching to Saturday night if the Division 3 final is deferred. The hurling league final has been played in Thurles in more recent times. If all four football league finals go ahead on March 30/31 and Galway are not involved, then a hurling final would likely go ahead at 2pm in Thurles on Sunday. The hurling league semi-finals have been fixed for Nowlan Park on Sunday with Dublin and Limerick throwing in at 1.30 and Galway and Waterford off at 3.30. The football final will, most likely, feature Kerry with Dublin's defeat to Tyrone paving the way for Galway or Mayo to join them. If they both win their games on Sunday, against Monaghan and Tyrone respectively, Galway will qualify on the head-to-head. If they both lose, Tyrone will meet Kerry, a scenario that seemed virtually impossible after three rounds, when they had just one point.